Gretel is another great smartphone manufacturer from China. 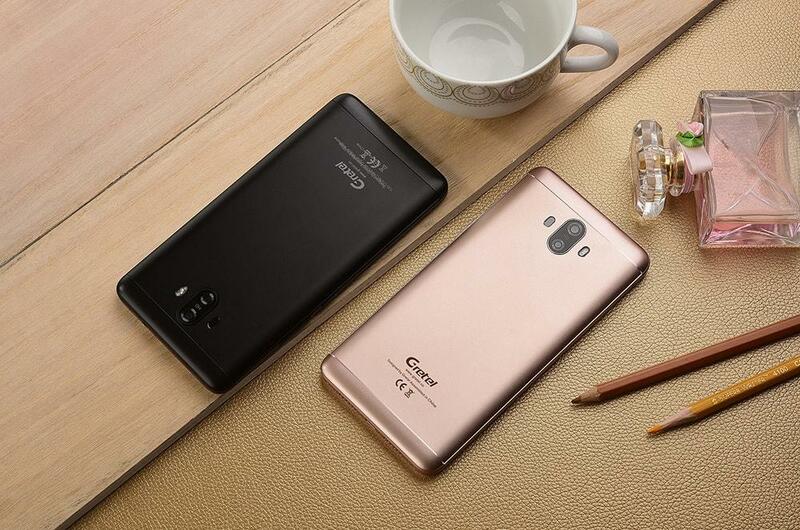 The smartphone company have beautiful and quality devices like the Gretel A6 and Gretel A9 to their name. Now the OEM have churned out another beautiful piece of technology and named it Gretel GT6000. The Gretel GT6000 is a big beast. The GT6000 has a body thickness of 10.6mm and weighs 233 grams. Now that’s some load for the hands and pocket. This heaviness and bulkiness of the device is however understandable because of the presence of a big battery pack. The device body is made out of metal and plastic bands on the top and the bottom. The Gretel GT6000 is available in three color options; blue, black, and gold. On the front side, there’s a big 2.5D glass screen, 2 soft navigation keys and a hard home key button that doubles as the device fingerprint scanner. At the top of the screen, there’s a secondary speaker that serves as the earpiece to receive phone calls. There are also a proximity sensor. A 5.5 inches IPS HD display is in charge of visual display on the Gretel GT6000. The multi-touch screen which has a resolution of 720 x 1280 was manufactured and supplied by SHARP and it produces high quality visuals at different viewing angles. The 4G Gretel GT6000 is adequately powered by a MediaTek MTK6737 Quad-core processor with a clock speed of 1.3 GHz. The unit in charge of graphics is the Mali- T720 Graphics Processing Unit (GPU). Interestingly, on the GT6000, you get to enjoy the features of the latest Android OS; Android Nougat v7.0. A 2GB sized RAM ensures fluency in running applications and the 16GB ROM provifes room to store whatever files and documents you’d love to keep on your device. Just in case you run out of space, you are at liberty to expand the storage up to 32GB using external micro SD card. The Gretel GT6000 has dual csmera setup at the rear. A 13MP Panasonic MN34172 sensor with dual LED flash and F 2.2 and a secondary 1.3MP complementary camera is embedded on the rear. The front camera is a 5MP camera which also comes in LED flash company. Now you can take those beautiful selfies both in the dark and under low light conditions. The Gretel GT6000 is equipped with a monster 6000mAh non-removable battery. And going by Gretel’s word, the battery can go 3 days on standby mode and 1 and a half day on heavy usage. This is definitely the device for heavy smartphone users.